The Commander General of the Naval Order of the United States is pleased to announce the selection of MCPON (SS/SW) Rick West, USN (Ret.) as the first recipient of the Distinguished Sea Service Award for Senior Enlisted (DSSA-SE). The DSSA-SE was established to provide a means of recognition for a recently retired sea service enlisted member whose distinguished career contributed significantly to the sea service. This award recognizes MCPON West’s unique contribution to the U. S. Navy through a career that spanned over thirty years and service in both submarines and surface ships. 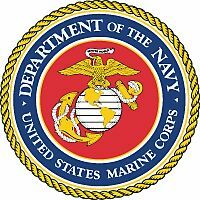 His leadership responsibilities ranged from the division level on a submarine to selection as the Master Chief Petty Officer of the Navy, the U. S. Navy’s most senior enlisted position. His service is characterized by a constant concern for Sailors and their families and the preparation of enlisted personnel to assume the responsibilities of leadership as Chief Petty Officers through the CPO 360 program. MCPON West will receive the DSSA-SE Award at the Naval Order’s Annual Congress on Saturday, 24 October 2015 in New Orleans, Louisiana. MCPON West was born in Rising Fawn, Ga. He graduated from Northwest Georgia High School in 1981 and immediately entered the U.S. Navy. West received recruit training and Quartermaster training at Orlando, Fla., followed by Enlisted Submarine School at Groton, Conn. His first duty assignment was aboard USS Ethan Allen (SSN 608) where he completed submarine qualifications. Other assignments include USS Thomas Edison (SSBN 610), USS Sea Devil (SSN 664), Commander Naval Activities United Kingdom (COMNAVACTUK), USS Tecumseh (SSBN 628)(Blue), and Commander, Submarine Force, U.S. Pacific Fleet (COMSUBPAC) Staff (TRE Team). West was then assigned as Chief of the Boat aboard the San Diego-based fast-attack submarine, USS Portsmouth (SSN 707), where he completed two Western Pacific deployments and the crew earned two, Battle Efficiency “E” awards. Upon completion of a Command Master Chief (CMC) tour at Submarine Squadron (COMSUBRON) ELEVEN, he was selected as COMSUBPAC Force Master Chief from January 2001 to 2004. During this time, West also attended the Senior Enlisted Academy in Newport, R.I. West then reported as the CMC to USS Preble (DDG 88) homeported in San Diego, where he deployed to the Persian Gulf and qualified as an Enlisted Surface Warfare Specialist. 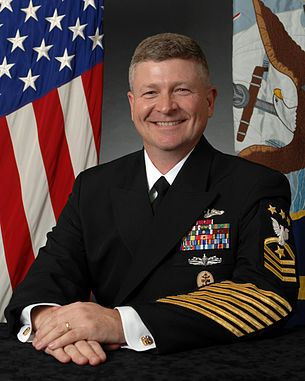 West was selected during his tour on the Preble to serve as the Pacific Fleet (PACFLT), Fleet Master Chief from February 2005 to June 2007. Following PACFLT, he served as the 14th Fleet Master Chief for Commander, U.S. Fleet Forces Command from June 2007 to December 2008. West's personal awards include the Distinguished Service Medal, the Legion of Merit (two awards), Meritorious Service Medal (three awards), Navy and Marine Corps Commendation Medal (four awards), Navy and Marine Corps Achievement Medal (two awards), Enlisted Surface Warfare Insignia, Enlisted Submarine Insignia, and SSBN Deterrent Patrol Pin. West became the 12th Master Chief Petty Officer of the Navy on Dec. 12, 2008. On September 28, 2012, he stepped down as MCPON and retired from the Navy after a three-decade career. Mr. West joined Herdt Consulting in December 2012. He joined Paladin Data Systems as a Sales and Marketing Manager and Client Executive for Insight and Futuring in October 2013. Mr. West is currently a Program Manager at Progeny System Corporation.